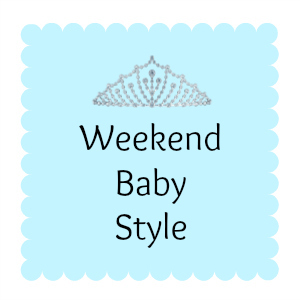 This is our first time taking part in the Weekend Baby Style but I really like Elliot's outfit today and I couldn't resist linking up! I love buying retro/80s tshirts for Elliot and this one is his Daddy's favourite film! 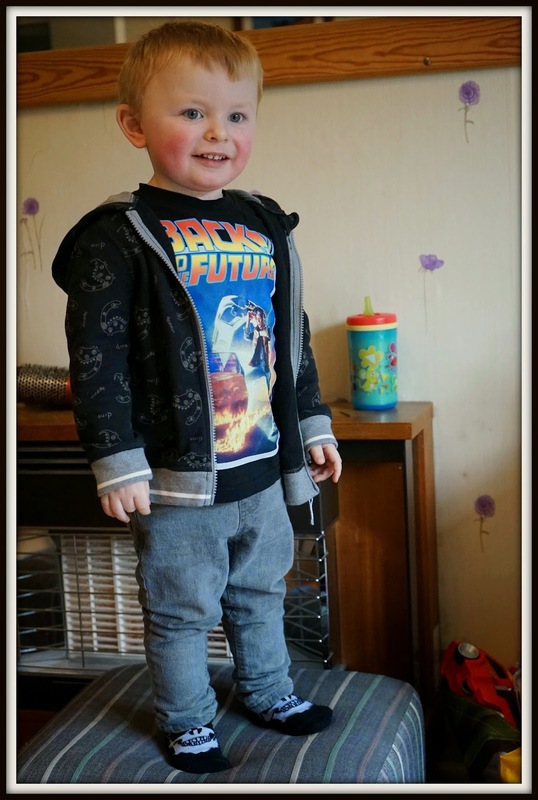 I bought it last January and the smallest size I could get was 2-3, Elliot has been wearing it since then but it has only recently started fitting him well! The hoody was a recent purchase - Elliot loves dinosaurs so I knew it would be a hit. It's good to layer him up in this chilly weather so hoodys are useful. The jeans look nice but unfortunately as with most Primark stuff the sizing and fitting was a bit iffy. He's wearing aged 3-4 and the length is fine but I'm forever hoisting them up to keep his bum covered!